Microbial insights offers a full spectrum of molecular biological tools including qPCR, QuantArray®, In Situ Microcosms (ISMs) and Stable Isotope Probing (SIP) in their new local laboratory in Belgium. Microbial Insights is a biotechnology laboratory specializing in molecular biological tools (MBTs) that aid clients in understanding and managing microbial processes ranging from bioremediation at contaminated sites to microbiologically influenced corrosion. 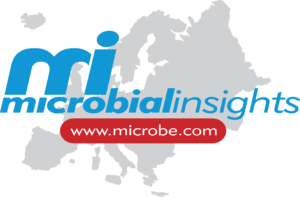 In 2016, Avecom and Microbial Insights have started Microbial Insights Europe, a collaboration to better serve the European clients for molecular analyses. Sample preparation and extractions will be performed by MI Europe (Avecom, Belgium) upon receipt eliminating international shipping to the USA. Analysis will be performed to the same QA/QC standards ensuring the accuracy and precision that you have come to expect from Microbial Insights.